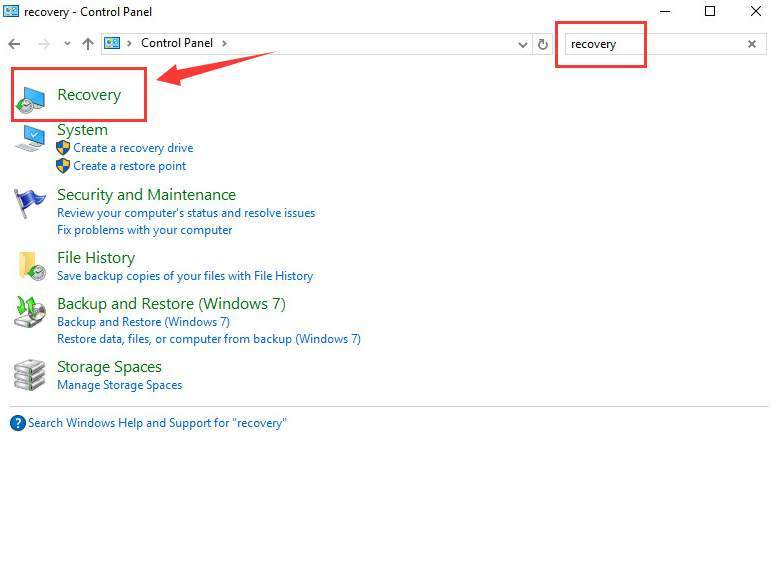 Different from previous builds, Windows 10 allows you to choose different recovery options when you are having problems with your computer. In this post, we will be showing you different options to help you solve your computer problems. 1. If your PC isn’t working well because of a recently installed application, driver or update. 2. If you are not sure why your PC isn’t working well. 3. Your PC won’t start. 4. You want to clear all your personal information and data before you donate or recycle it. 5. You want to go back to your previous version of Windows. 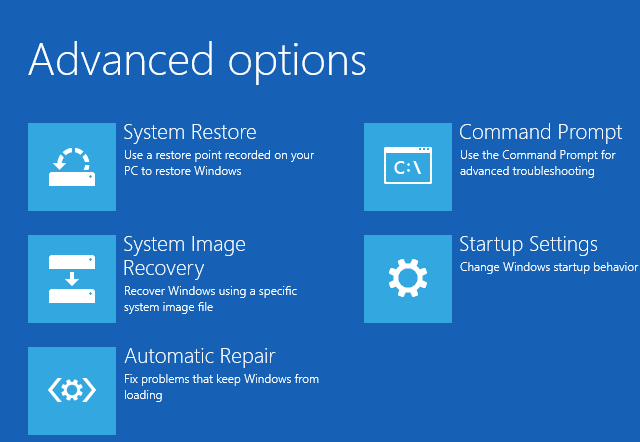 Note: Different from previous builds, Windows 10 shut off system restore feature by default. If you want to use this feature, you need to turn it on first. 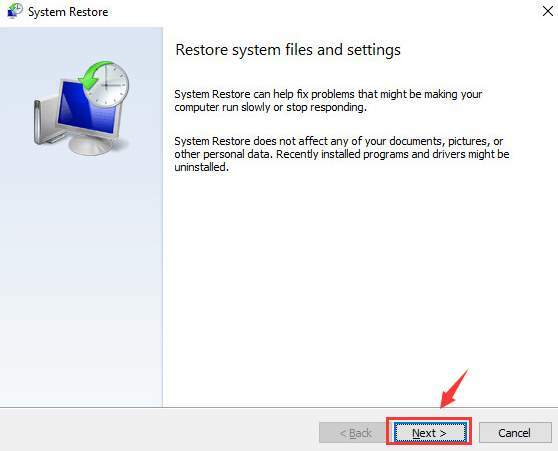 For more information as to how to enable system restore feature, please visit this post here. 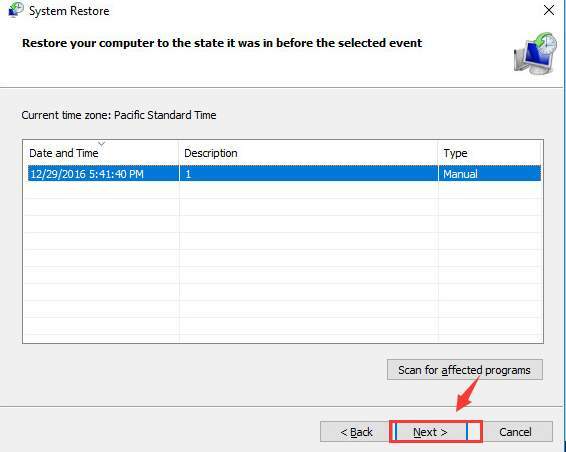 If you can recall that the computer is not working properly due to some recent installed applications or device drivers, you can perform a system restore to help get your PC normal again. 2) Press Ctrl + F keys at the same time to invoke a search, then type in recovery in the search box. Then choose Recovery from the panel. 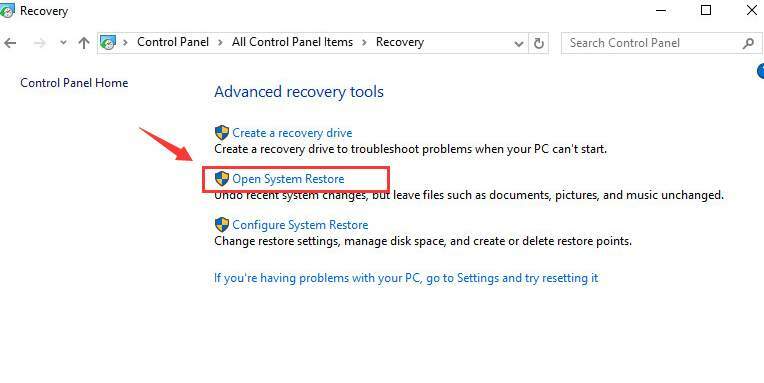 3) Then choose Open System Restore. 4) Click Next to continue. 5) Then choose from the list the point of time before you install the applications or drivers that could cause your PC not working properly, and hit Next. 6) Click Finish to continue. When prompted with the following notification, click Yes to confirm. If you are not sure why your PC is not working properly all of a sudden, you can try to reset it. Note: Windows 10 allows you to choose whether to keep your files or remove everything. How to reset my Windows 10? 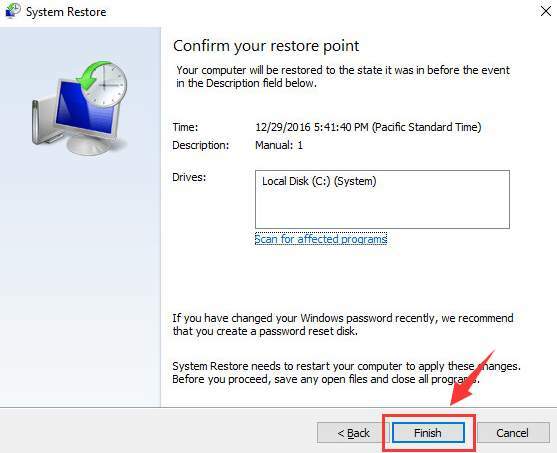 If your PC won’t start, you can try to 1) restore your PC by refreshing or resetting it from hard reboot; or 2) restore your PC using installation media, which could be a USB or a disk. How to refresh or reset from a hard reboot in Windows 10? Warning: We do not recommend you to precede this hard reboot option because restarting a computer without support of operating system could result in data loss, incomplete installations and suspension and corruption of any processes that were running before the reboot. Please do not try this when your computer is at a good state. How to install Windows with a USB flash drive from the very beginning? If you are thinking about recycling your PC, or that you are donating your computer to other people, you do not want your personal data to be accessed by others, so you need to whip up all the information on your PC. We recommend you reset your PC. How to reset Windows 10, the easy way? Note: The going back to an earlier build option is only available 10 days within your update. If you are not entirely satisfied with Windows 10, and are thinking about going back to your previous builds, be it Windows 7, Windows 8, or Windows 8.1, you can try to downgrade your Windows 10 to its earlier version. How to downgrade my Windows 10 to Windows 7/ 8/ 8.1?